Well had my first ride since installing the Bottle KlicKfit that allows you to install a bottle cage anywhere on your bike. 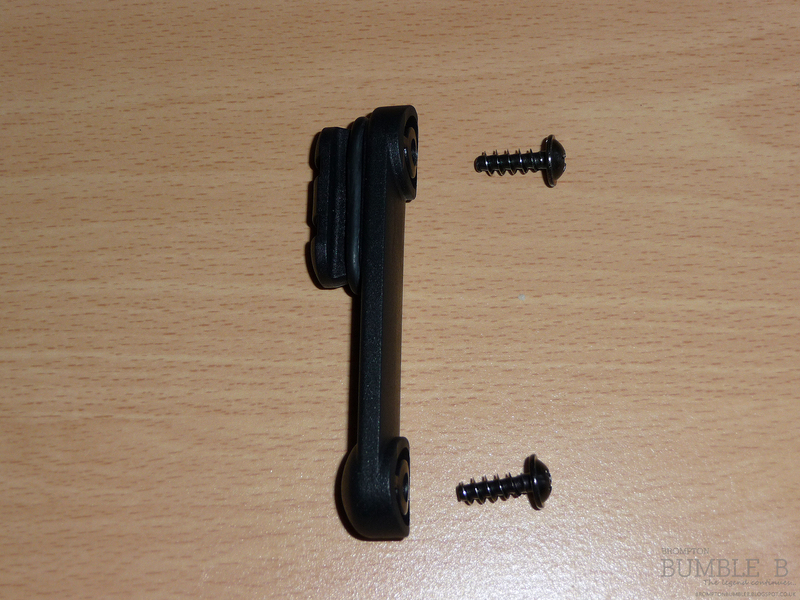 This is pretty handy esp for a Brompton so you can put it in a place where it wont interrupt its folding abilities. 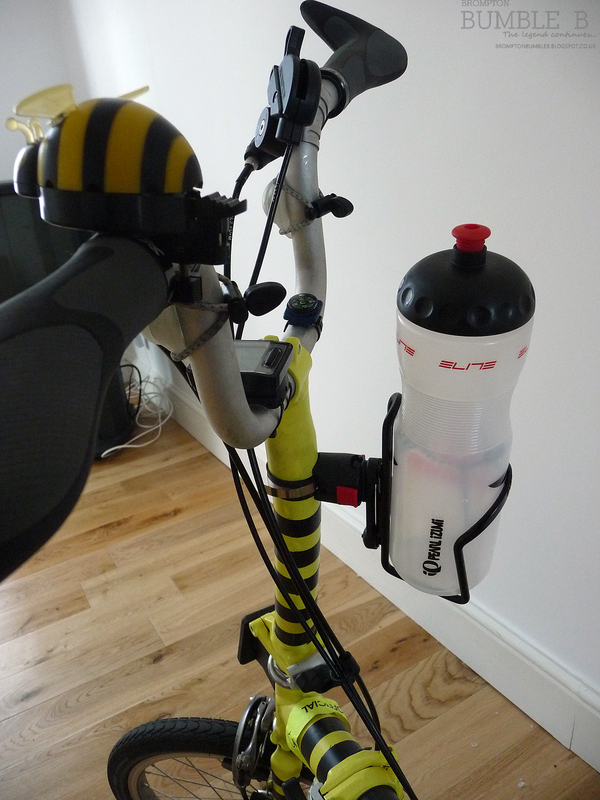 I got this Bottle KlicKfit from SJSCycles and came first class postage. 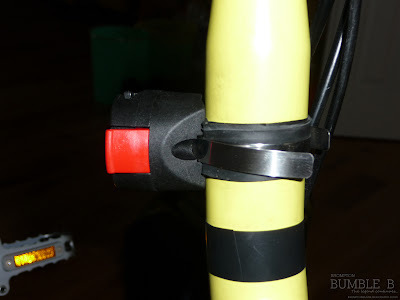 I would say the hardest part is figuring out where you want to have your bottle cage as I have seen a few people put it on the handle stem like me or on the main tube. Its attached with the long silver piece of metal and comes in 2 different lengths so should be able to be used on any diameter tubing. Easy and straight forward to install.. When in actually use I find its easier to unclip the whole cage thing even while riding as this cage is pretty grabby and sometimes you will be fighting to get the bottle from the cage to take a drink. It could be just the cage I got to hold the bottle itself but its so easy to clip and unclip while riding. Not once did it un clip itself and didn't get in the way of my knees while riding along or folding. So if your gonna be doing alot of riding esp in summer/hot weather and don't want to stop for a drink I can heartily recommend this piece of kit. 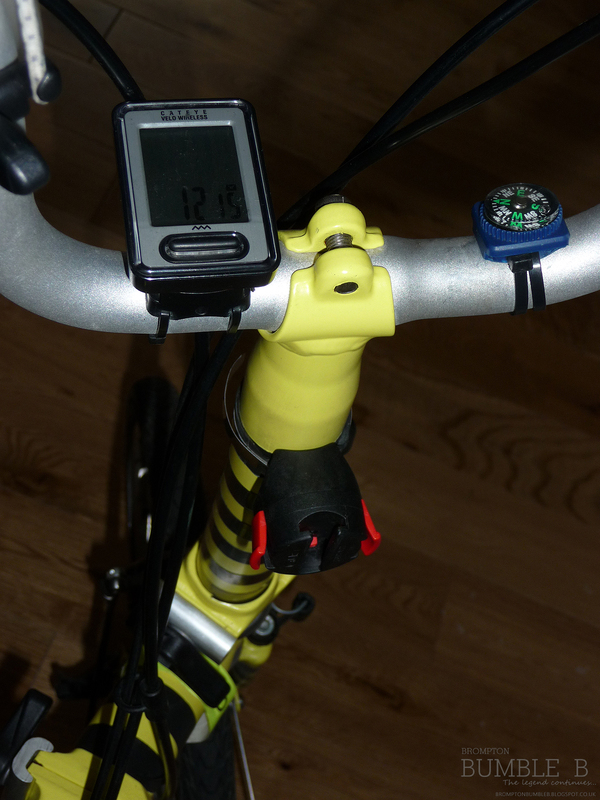 Thanks to another member of the London Brompton Club that put me on this KlickKit system. 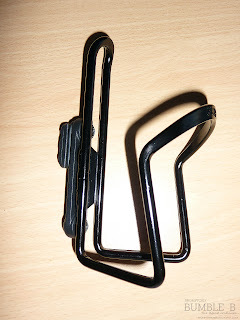 Also can get other attachments to for holding maps, mobile phones & bags. Nice review, Bumble Bee. I have been contemplating doing something like this. Right now, I carry my drink in my T-Bag's water bottle pocket. There are times when I don't need to carry the T-bag, but I still do, because I have no where else to carry my water. This sounds like thing to try. Good Luck at the Brompton Championships! same with my O bag but as you say sometimes you don't want to have the bag with you but need water, esp for training rides. Perfect solution for me.